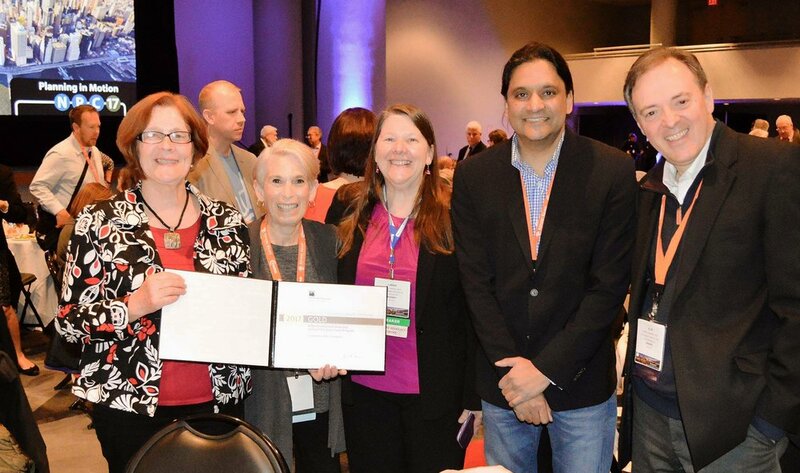 The Commonwealth of Virginia was recognized for a National Planning Achievement Award for a Best Practice for its Urban Development Area (UDA) & Technical Assistance Program. The Commonwealth of Virginia established the UDA program to help communities plan for future growth. In 2010, the Virginia Legislature adopted legislation to require high-growth cities, counties and towns to adopt UDAs as the focus of high density growth for 10 to 20 years. Parallel to the new legislation, the Virginia DOT (VDOT) awarded a series of grants to qualifying localities to offer consultant assistance in planning for these high growth areas. Since the UDA legislation was enacted, 50 jurisdictions have received technical assistance grants totaling nearly $3.6 million. Renaissance Planning was selected by VDOT to assist Virginia localities incorporate new Urban Development Area (UDA) legislation into their comprehensive plans and zoning and subdivision ordinances in 2010 and again in 2015. The Renaissance Team was chosen to assist 10 localities throughout the Commonwealth in 2010 in adopting and implementing smart growth and traditional neighborhood development principles under the grant program. Since 2015, they have been working with an additional 10 communities in a new round of technical assistance grants to localities. Under the UDA program, Renaissance worked with Baker to create a 50-year long term vision for the Military Circle mall and surrounding area, where a new light rail transit line may be built in the coming decades. Techniques and tools used in the project included a variety of innovative code provisions such as incentives for mixed use, traditional neighborhood design, affordable housing, transfer of development rights, multi-modal transportation, access management and road connectivity. Renaissance has worked for localities across the state in the counties of Albemarle, Amherst, Bedford, Caroline, Fauquier, Montgomery and Rockingham, the city of Harrisonburg and the towns of Blacksburg and Broadway. The team is currently leading its second round of technical assistance working with some of the same localities and some new ones, including the counties of Albemarle, Botetourt, Franklin and Rockingham, the cities of Norfolk and Vinton and the Towns of Christiansburg, Amherst, Culpeper and Warrenton. Most recently, their plan for the Westlake Village in Franklin County also won an APA National Merit Award for the Counties Division.